All the words you’d hope to find in a description of a movie about a juvenile detention center. 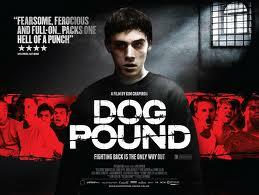 Gritty, raw and incredibly well defined characters make this an intense viewing experience if not an enjoyable one. Can’t remember the last time I felt so invigorated by an onscreen beat down as I did here. A modern day Bad Boys. The Sean Penn one, not the Michael Bay one. Posted on Monday, June 9th, 2014 at 2:51 pm and is filed under Reviews.